Our bright, warm meeting room accommodates up to 75 guests and is ideal for small groups, baby and bridal showers and business meetings. Please note that we do not allow music or alcohol in our meeting room. Our elegantly designed board room is perfect for corporate meetings. Both rooms are well equipped; audio visual equipment rental is available: and our professional sales staff will work with you and our local caterer for meals and snacks. 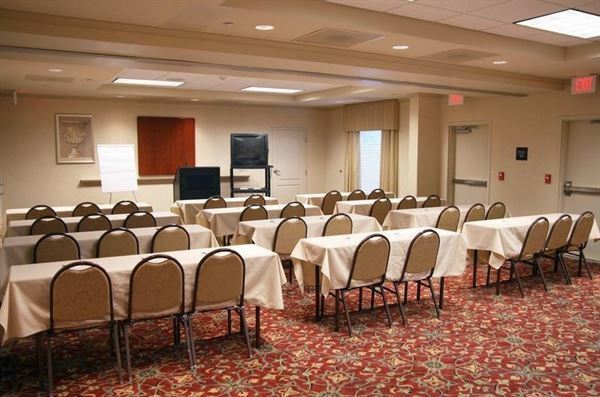 Let the Hampton Inn & Suites Montgomery Eastchase hotel make your next gathering successful!